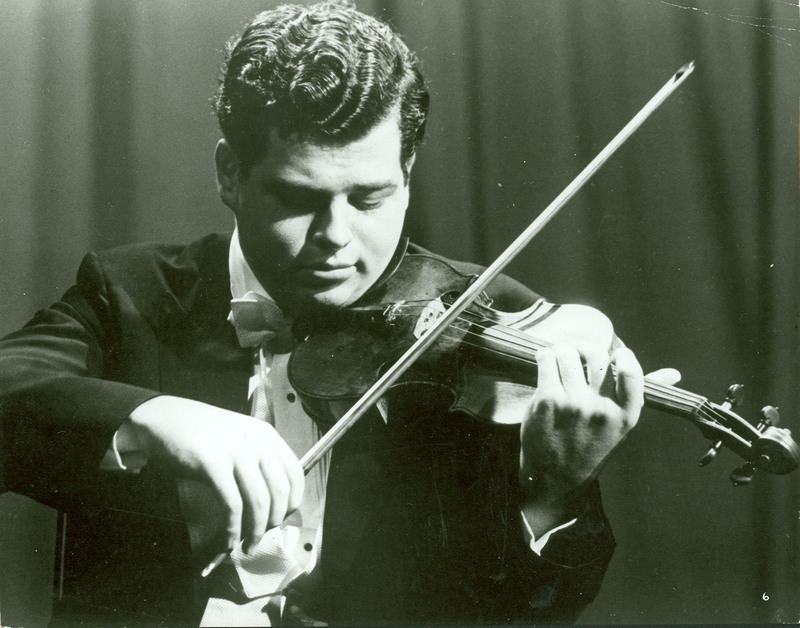 You are currently browsing the tag archive for the ‘Itzhak Perlman’ tag. 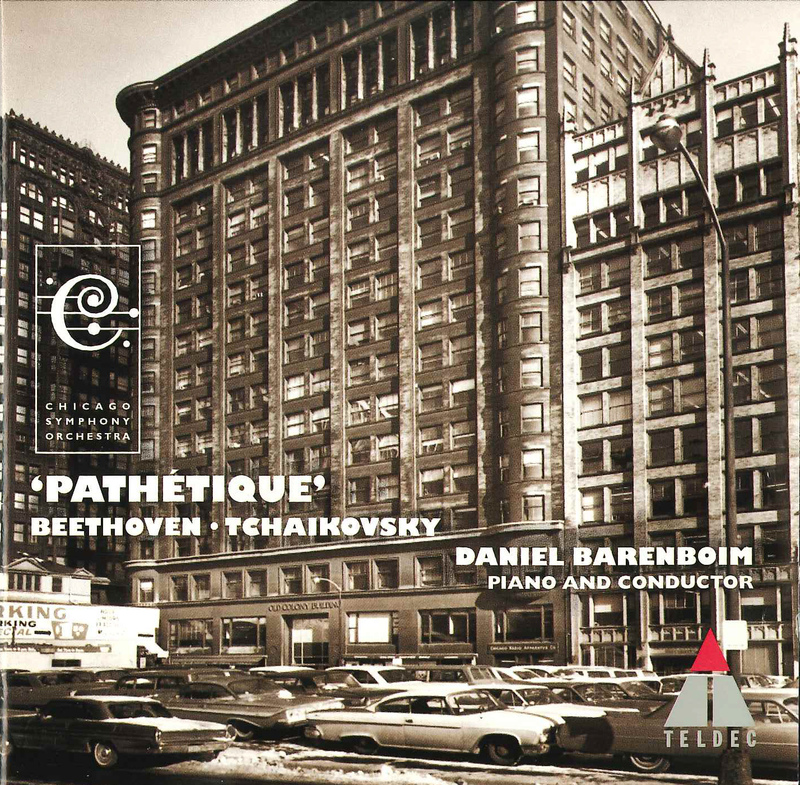 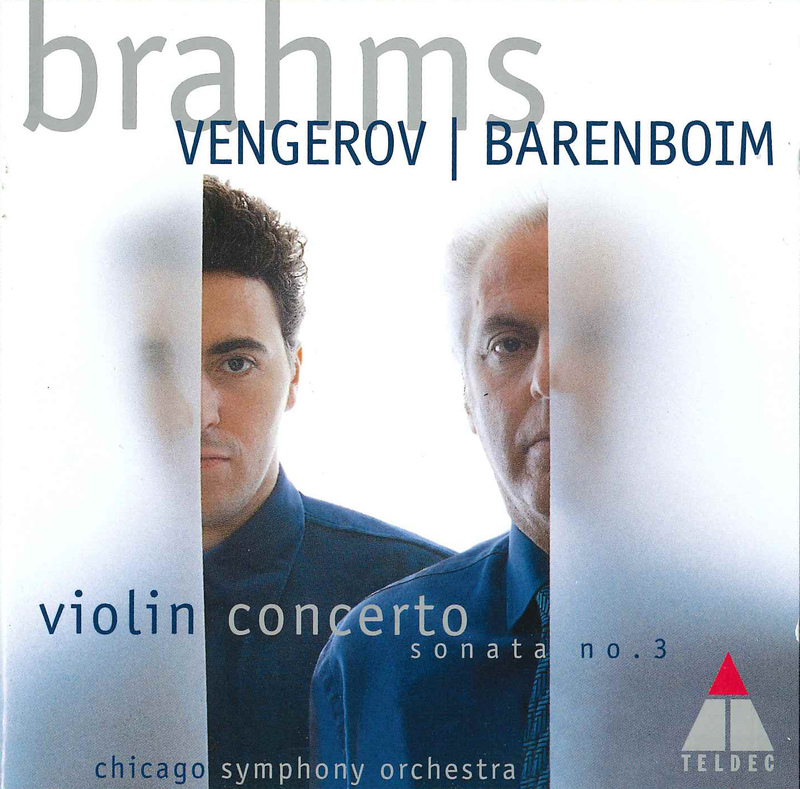 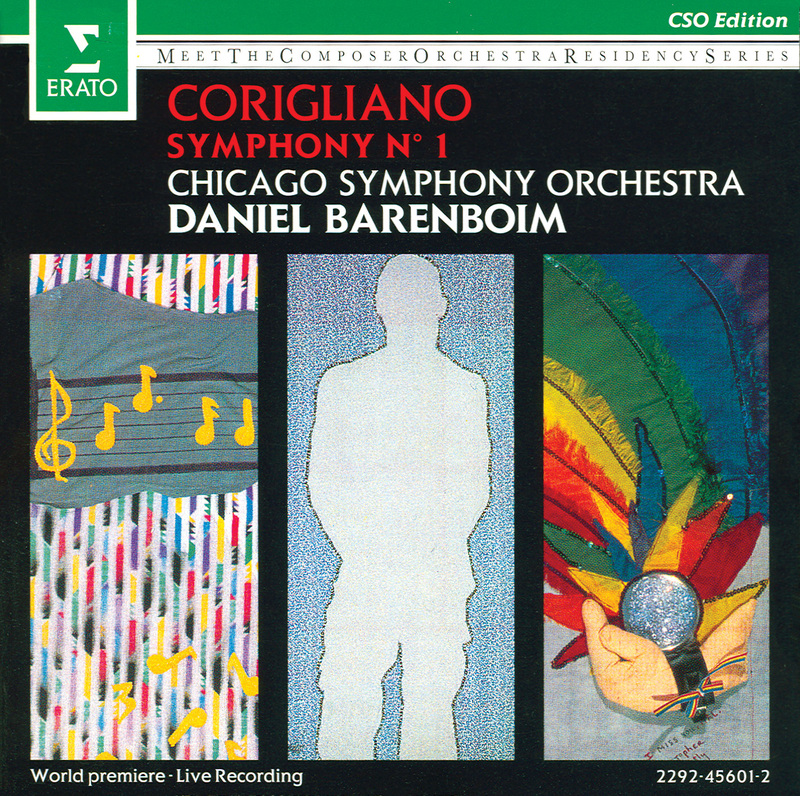 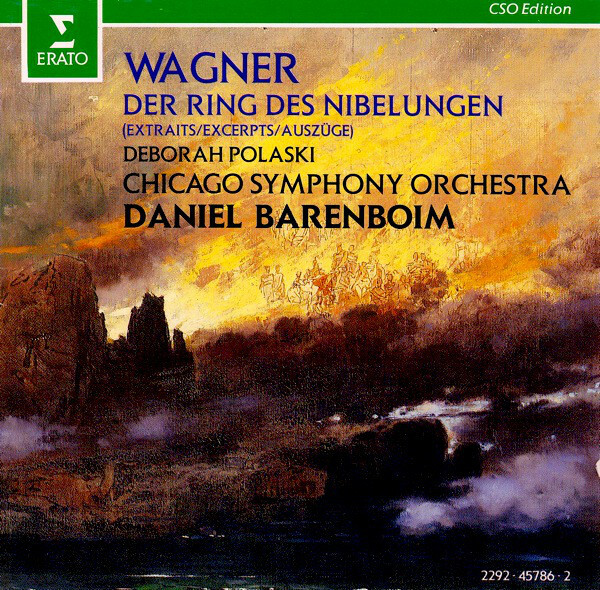 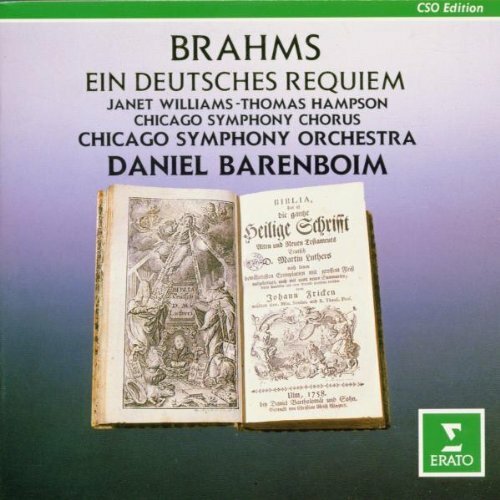 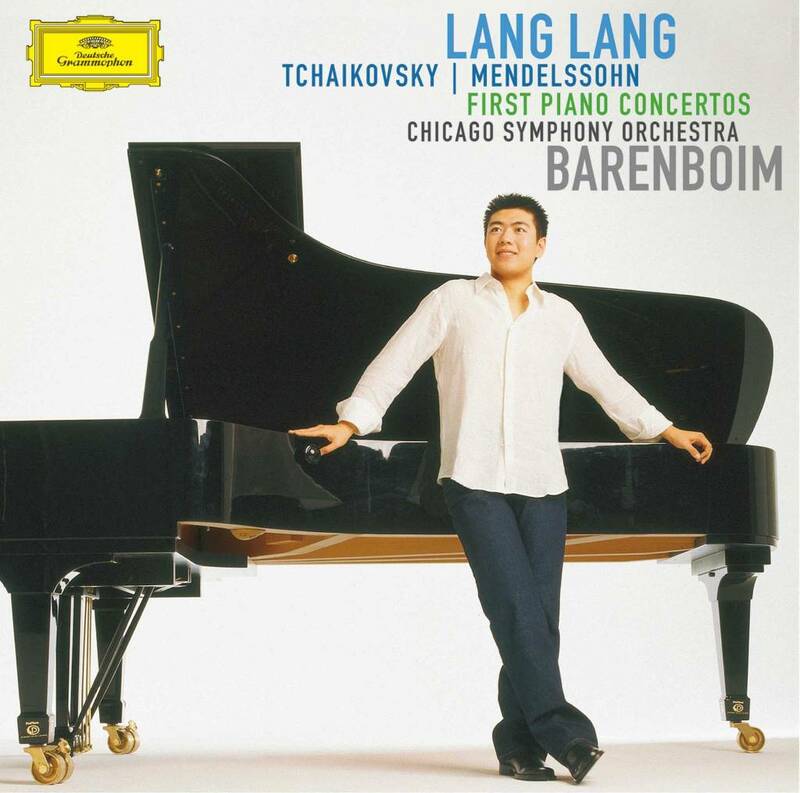 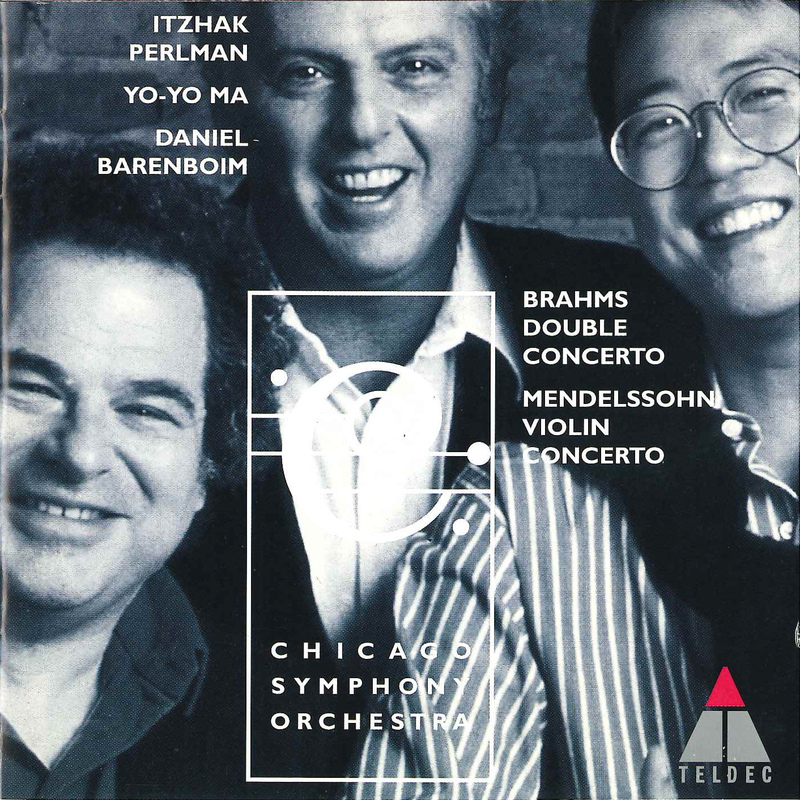 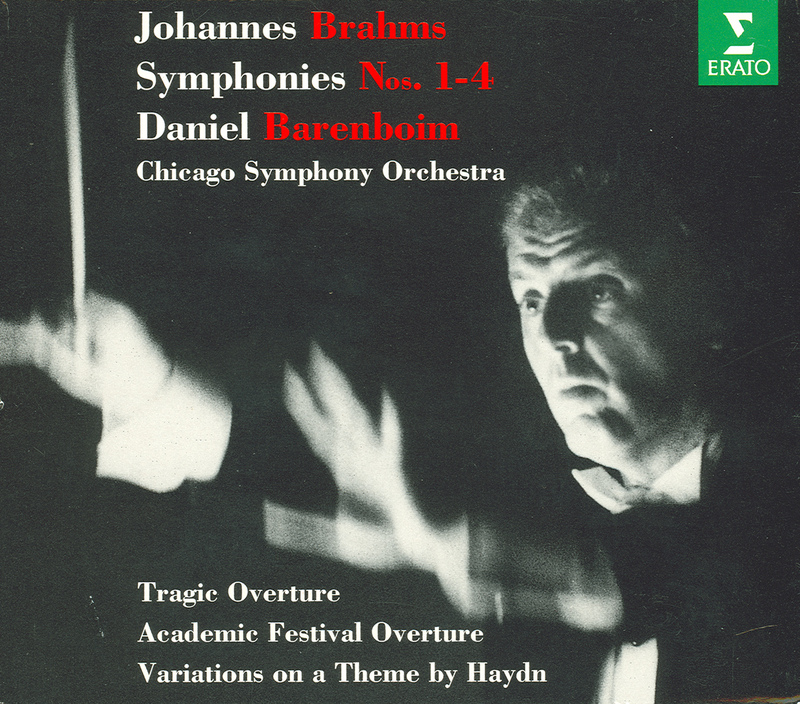 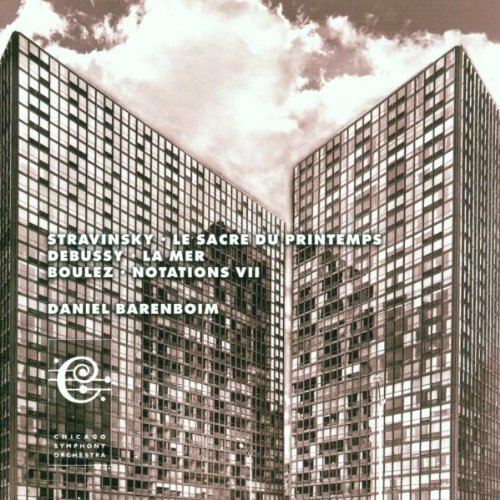 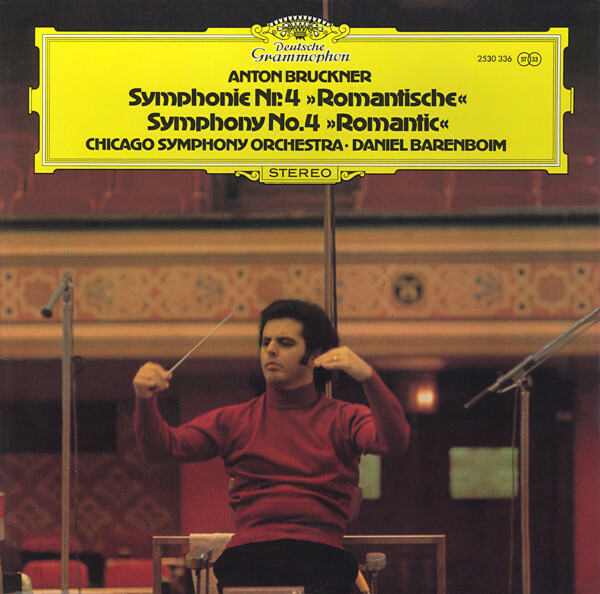 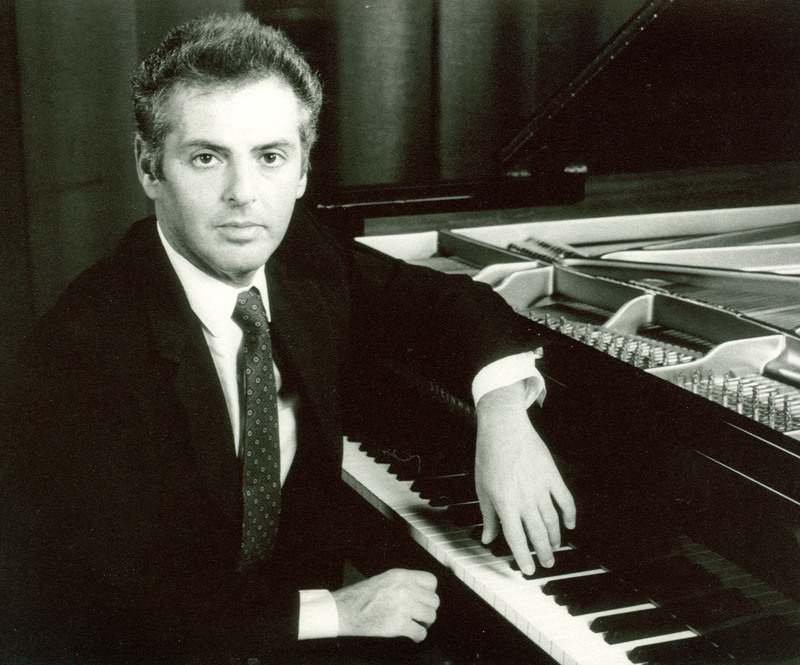 Between 1972 and 1981, Daniel Barenboim made a number of recordings with the Chicago Symphony Orchestra for Deutsche Grammophon, returning to the label in 2003 for a release of piano concertos with Lang Lang. 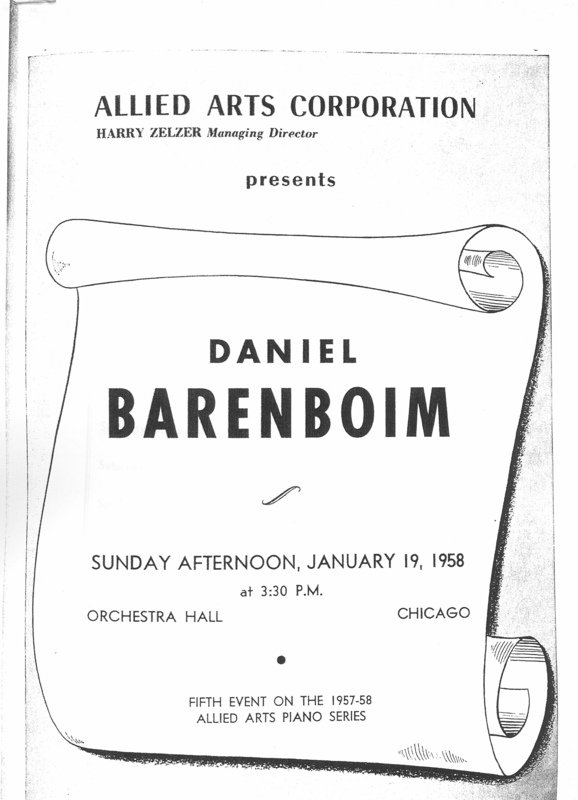 A complete list of Barenboim’s catalog with the CSO on Deutsche Grammophon is below (all recordings were made in Orchestra Hall unless otherwise noted). 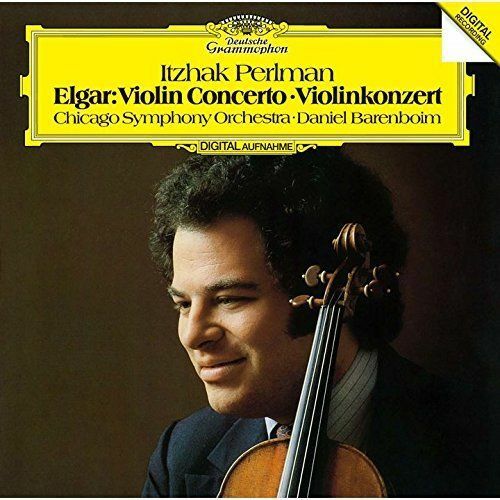 Wishing a very happy seventieth birthday to Itzhak Perlman! 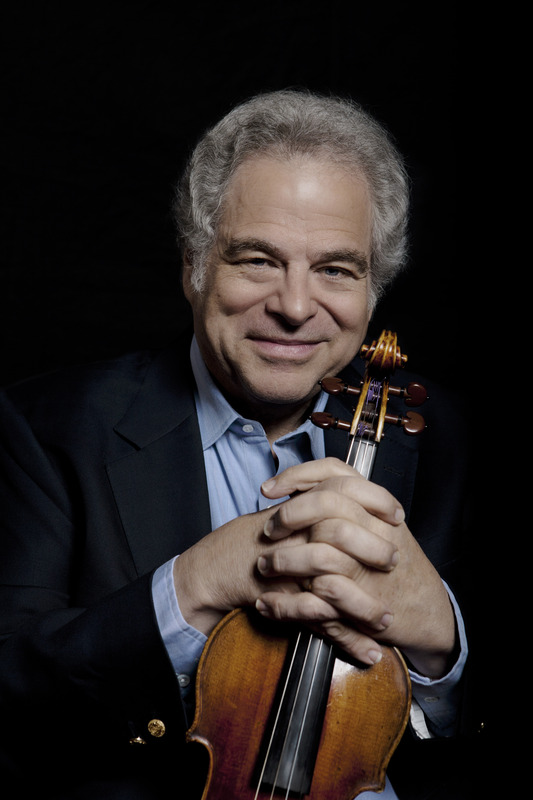 A frequent and favorite guest artist in Chicago, Perlman has appeared with the Chicago Symphony Orchestra as both violin soloist and conductor on numerous occasions. 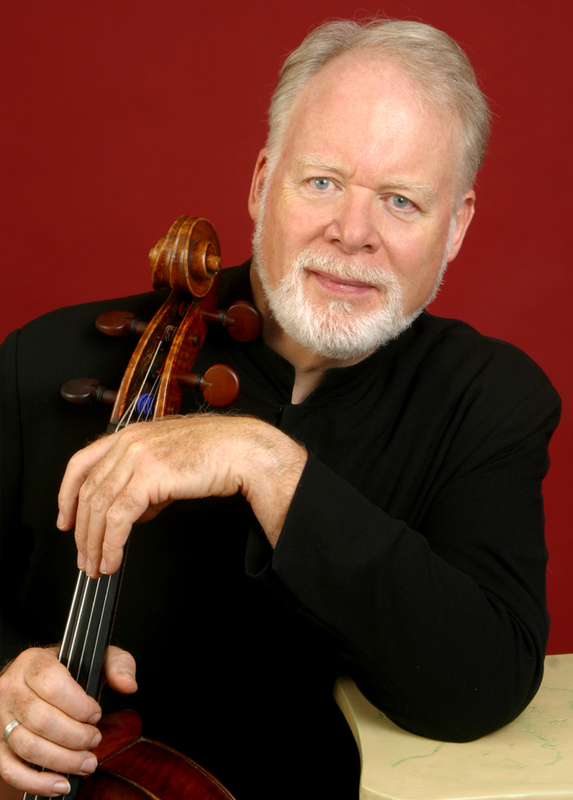 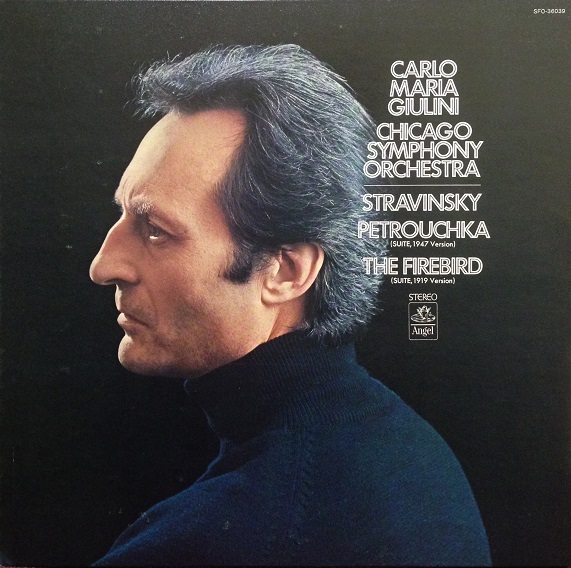 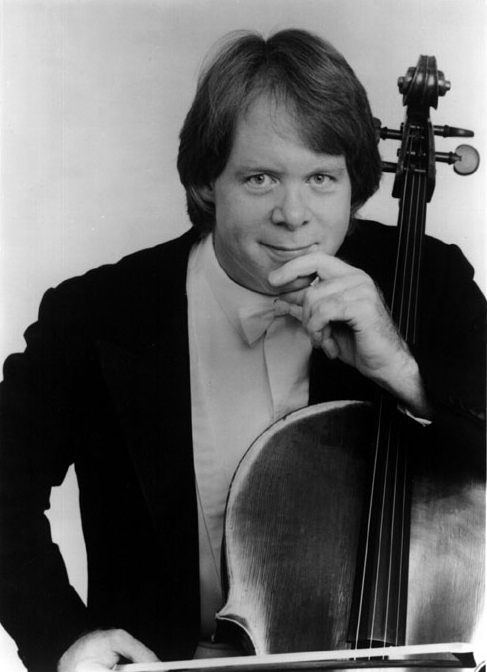 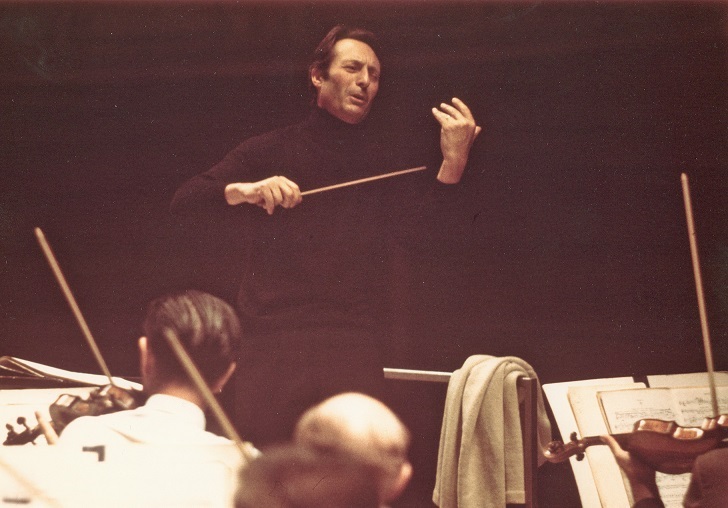 He first appeared with the Orchestra at the Ravinia Festival on August 4, 1966 (a few weeks shy of his twenty-first birthday), in Tchaikovsky’s Violin Concerto with Thomas Schippers conducting, and he first appeared at Orchestra Hall on May 11 and 12, 1967, in Prokofiev’s Second Violin Concerto with Jean Martinon conducting. 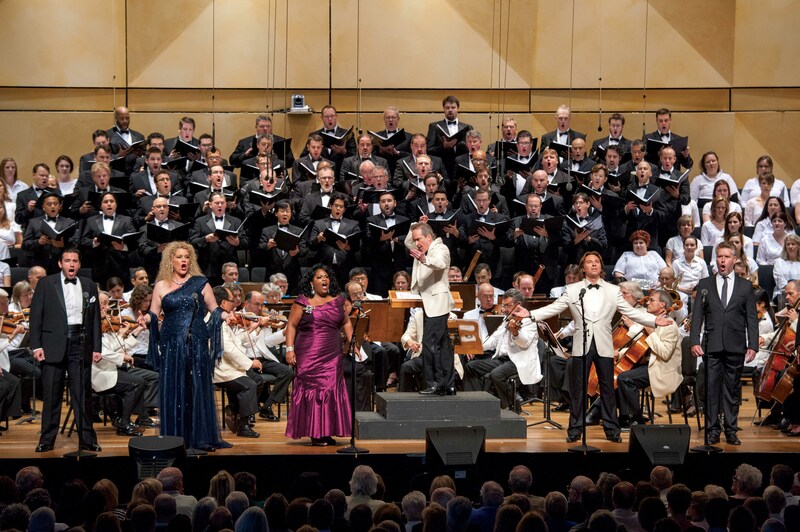 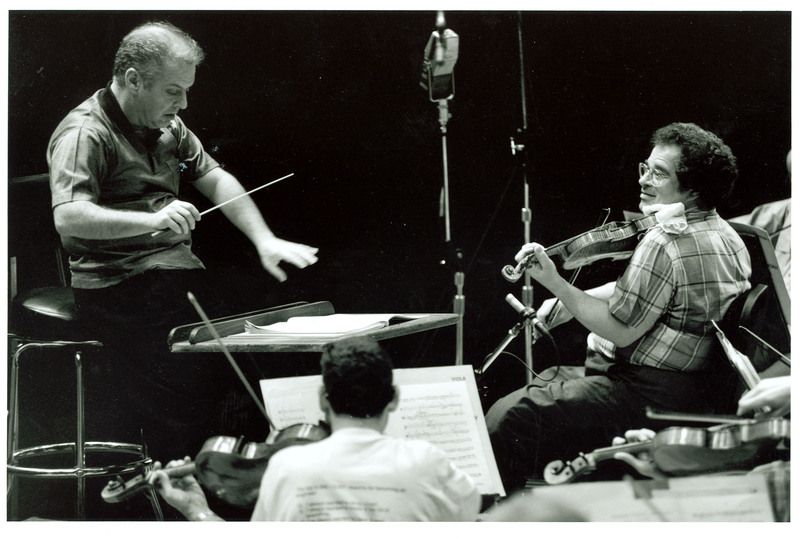 Most recently, Perlman was soloist with the Orchestra downtown on March 7, 2011, in Mendelssohn’s Violin Concerto and Clark McAlister’s arrangement of Kreisler‘s Liebesfreud with James DePreist conducting, and at Ravinia on August 7, 2013, in Mendelssohn’s Violin Concerto with Carlos Miguel Prieto conducting. 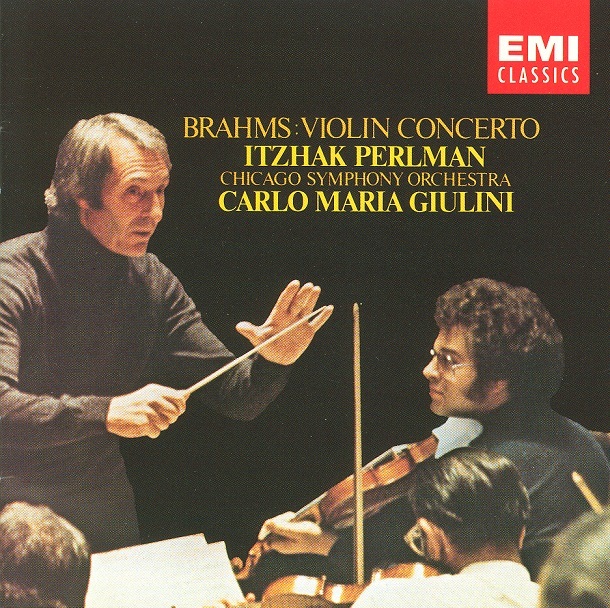 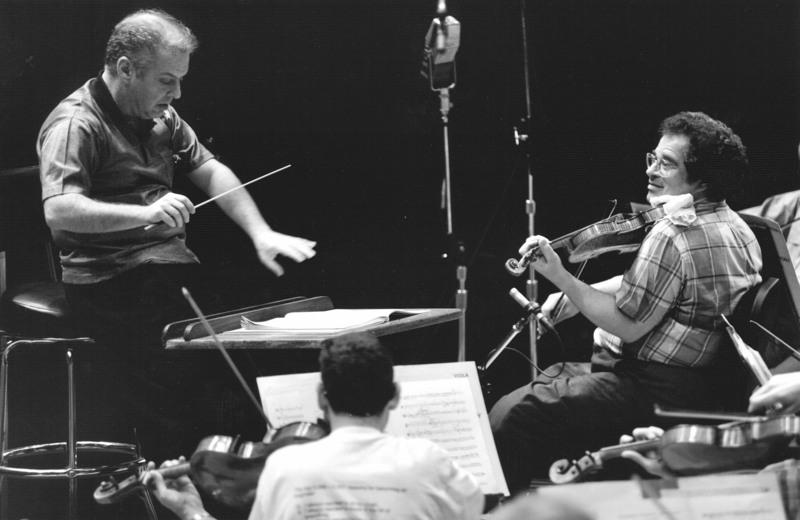 As a conductor, Perlman first led the Chicago Symphony Orchestra at the Ravinia Festival on July 25, 1999, in Bach’s Second Violin Concerto and Beethoven’s First Romance for Violin (also performing as soloist), along with Schubert’s Overture to Rosamunde and Brahms’s Fourth Symphony. 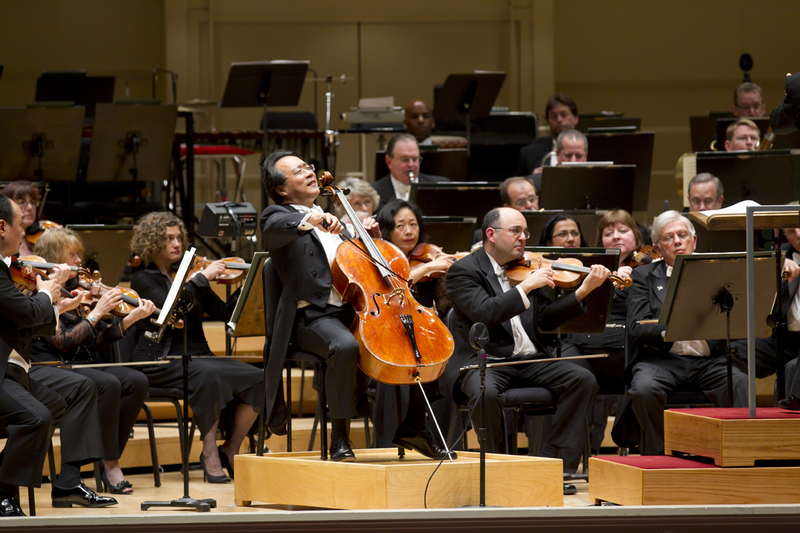 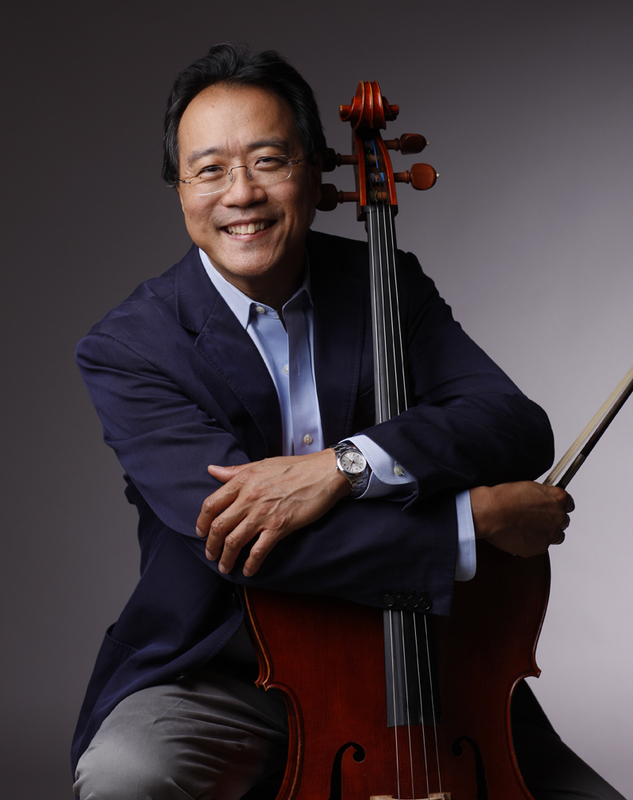 He has led the Orchestra at Orchestra Hall on one occasion, on November 17, 2008, in Bach’s First Violin Concerto (also performing as soloist), Mozart’s Symphony no. 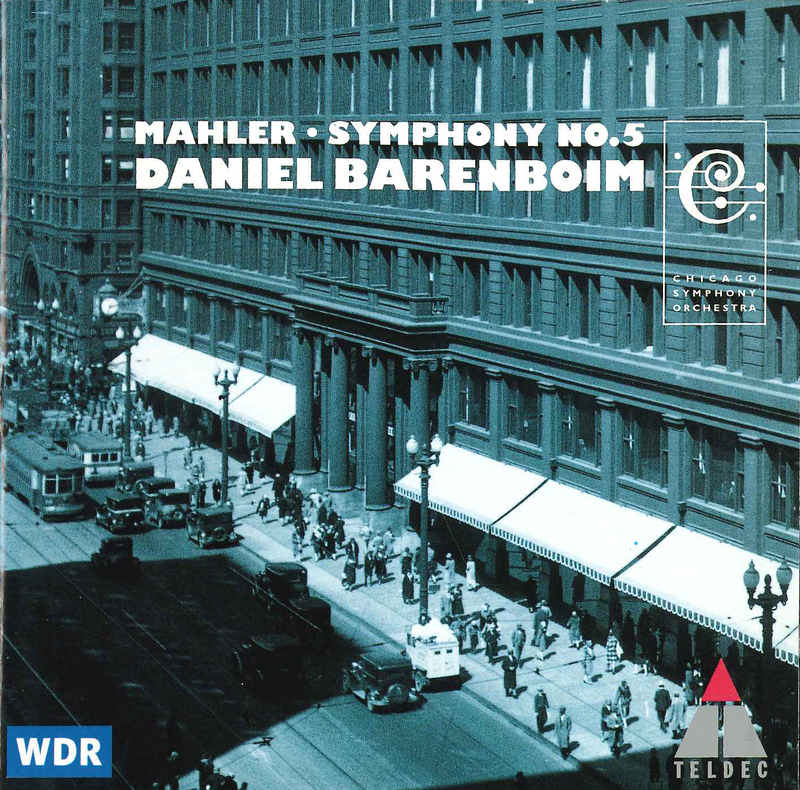 35, and Tchaikovsky’s Fifth Symphony. 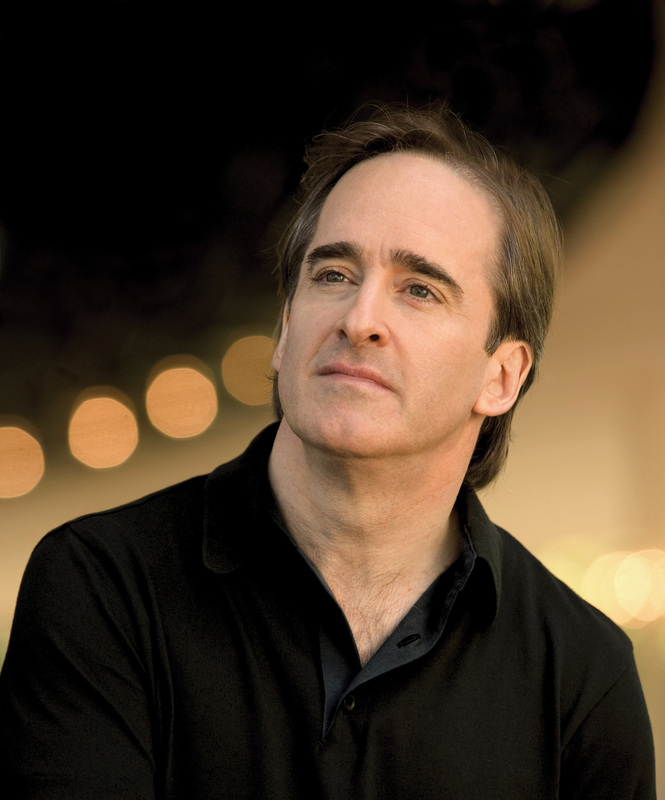 Most recently, he conducted the Orchestra at the Ravinia Festival on August 8, 2013, leading Brahms’s Academic Festival Overture, Haydn’s Second Cello Concerto with Alisa Weilerstein, and Tchaikovsky’s Fifth Symphony. 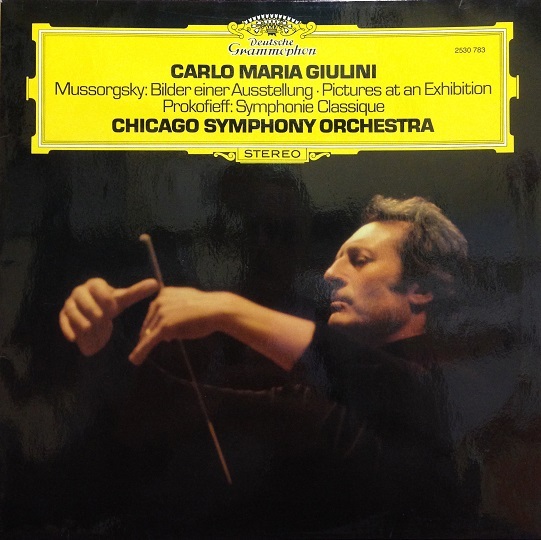 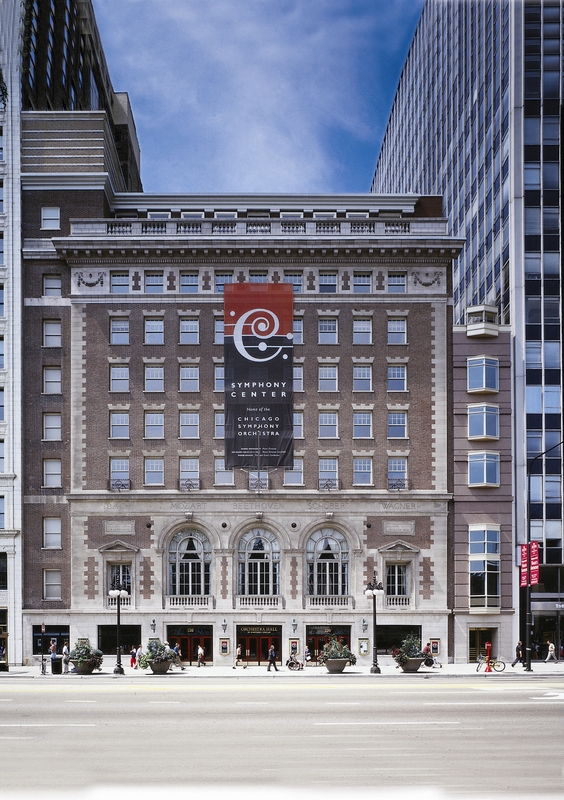 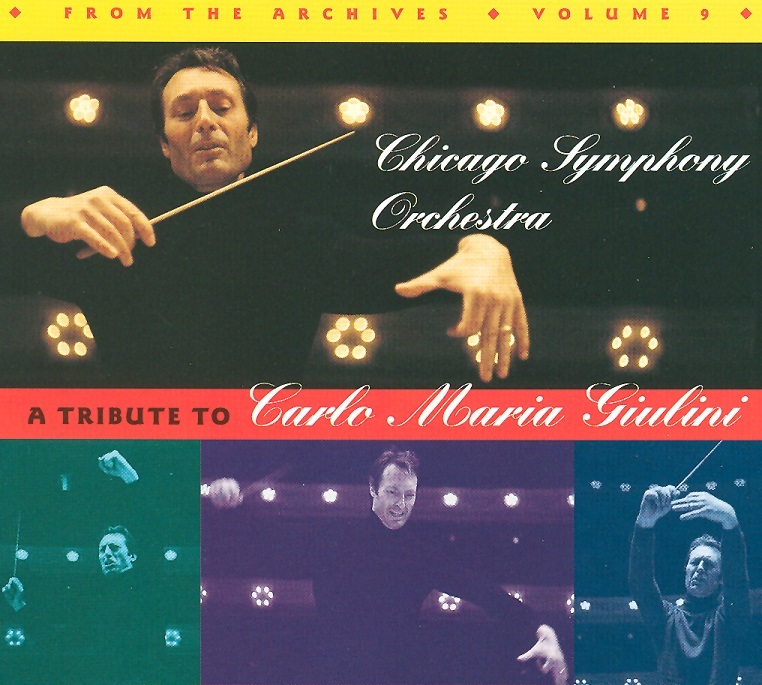 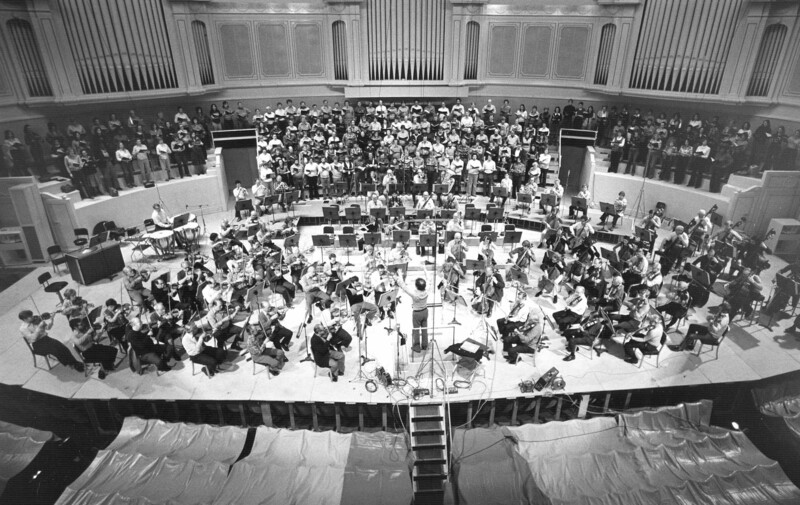 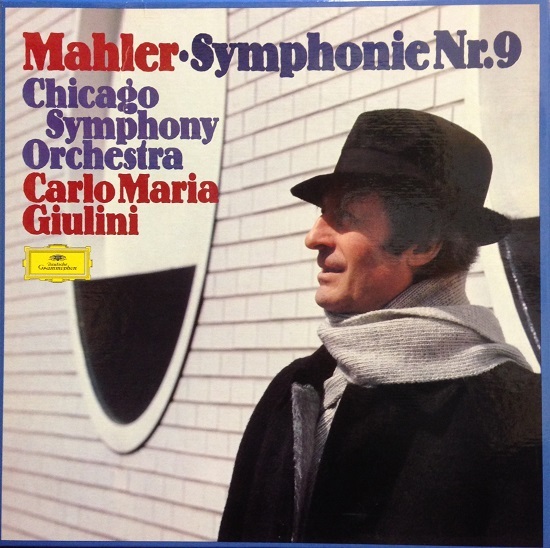 Carlo Maria Giulini and the Chicago Symphony Orchestra recorded extensively together, both in Orchestra Hall and Medinah Temple. 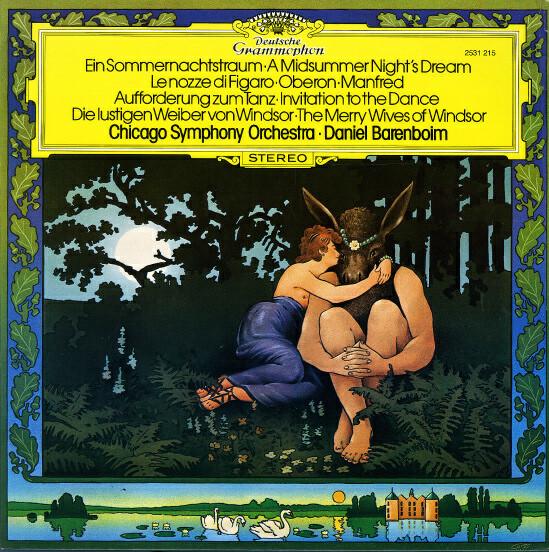 He and the Orchestra recorded commercially for RCA in 1967, for Angel beginning in 1969 until 1976, and for Deutsche Grammophon between 1976 and 1978. 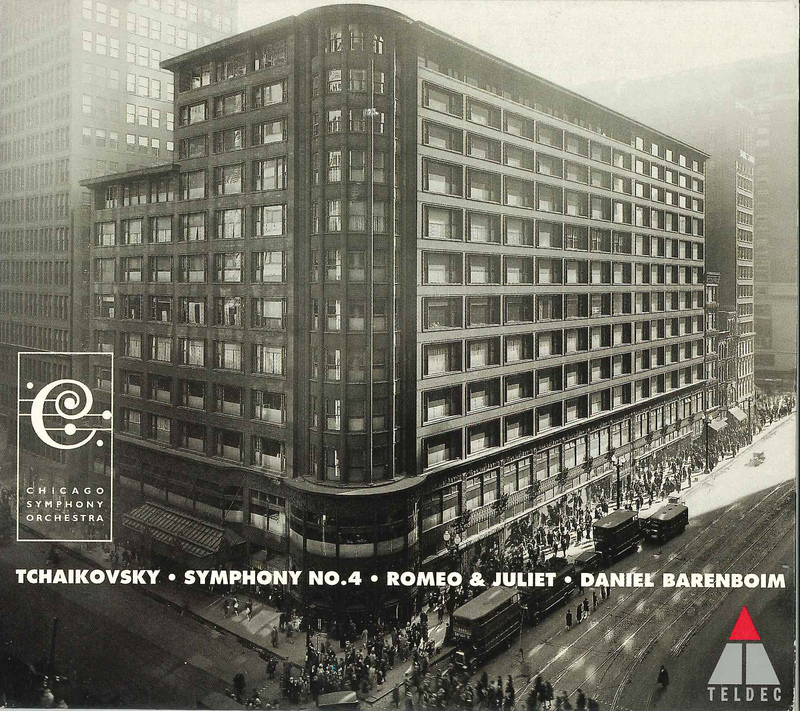 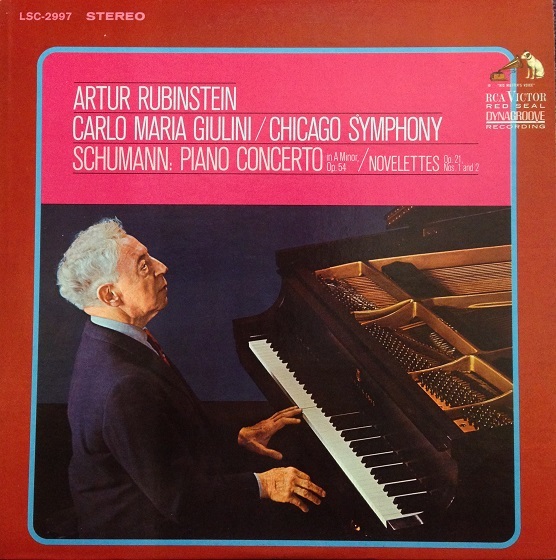 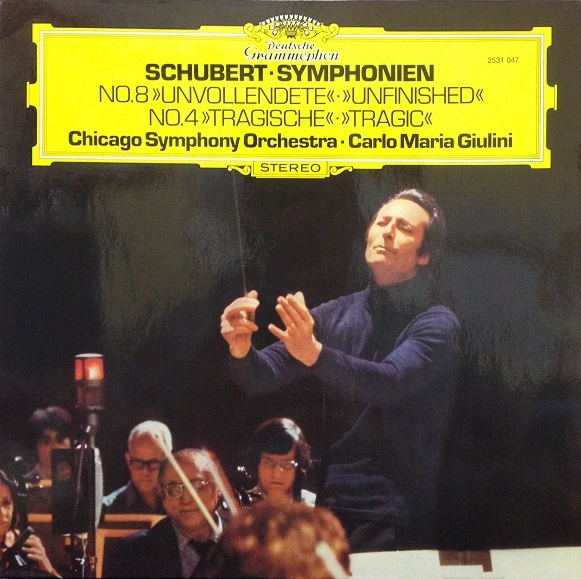 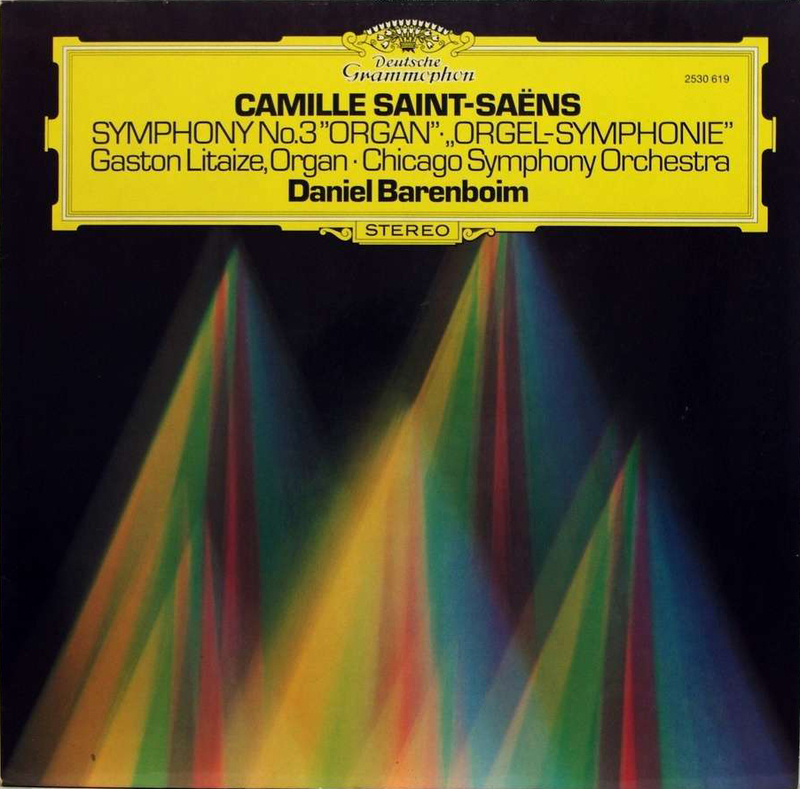 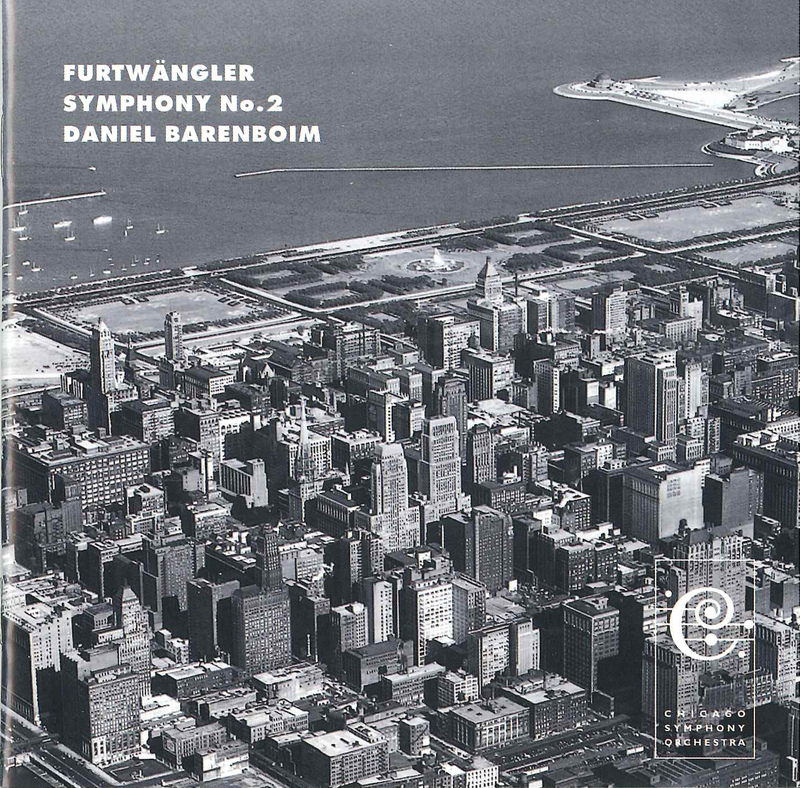 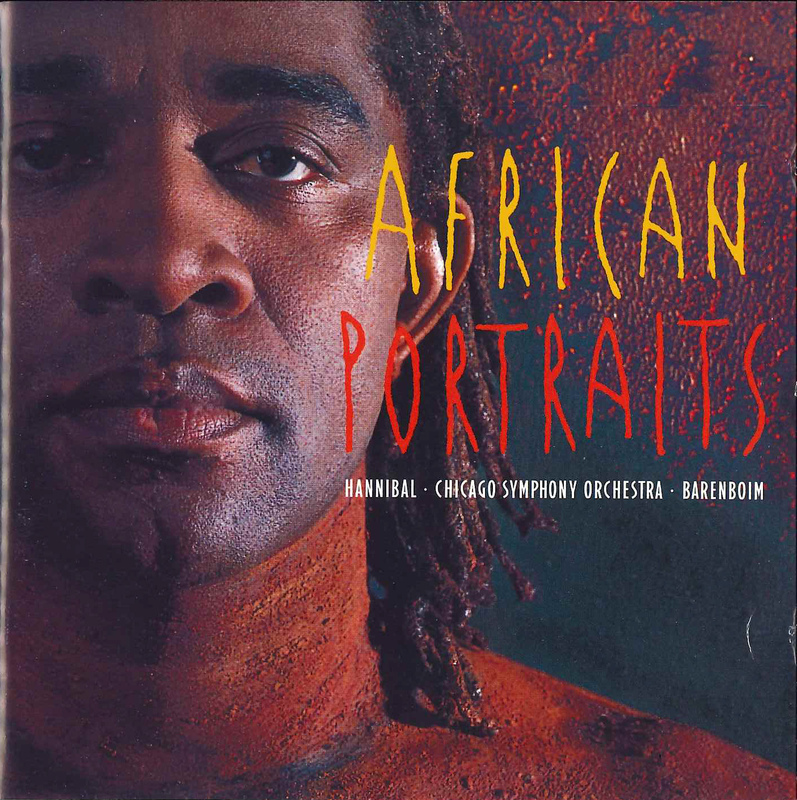 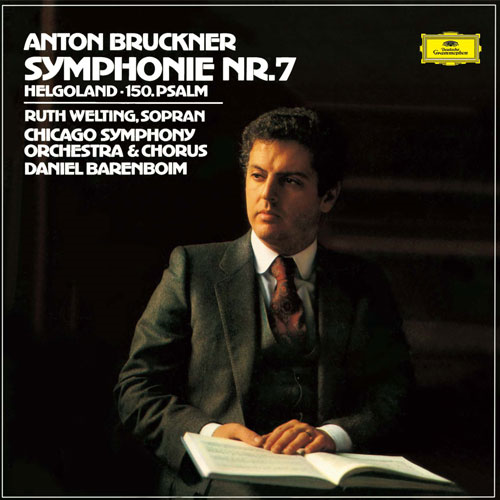 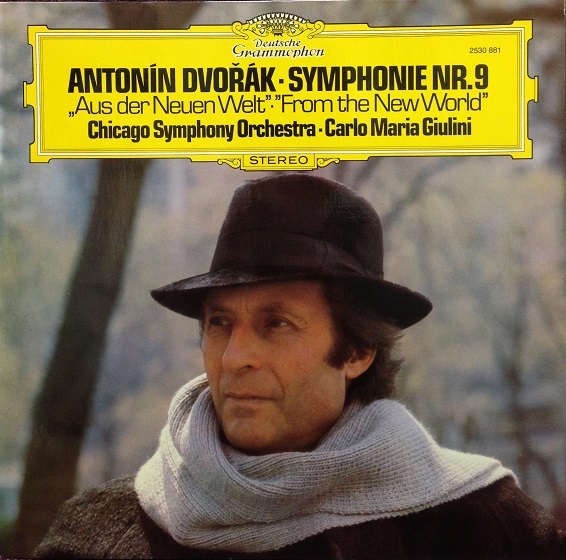 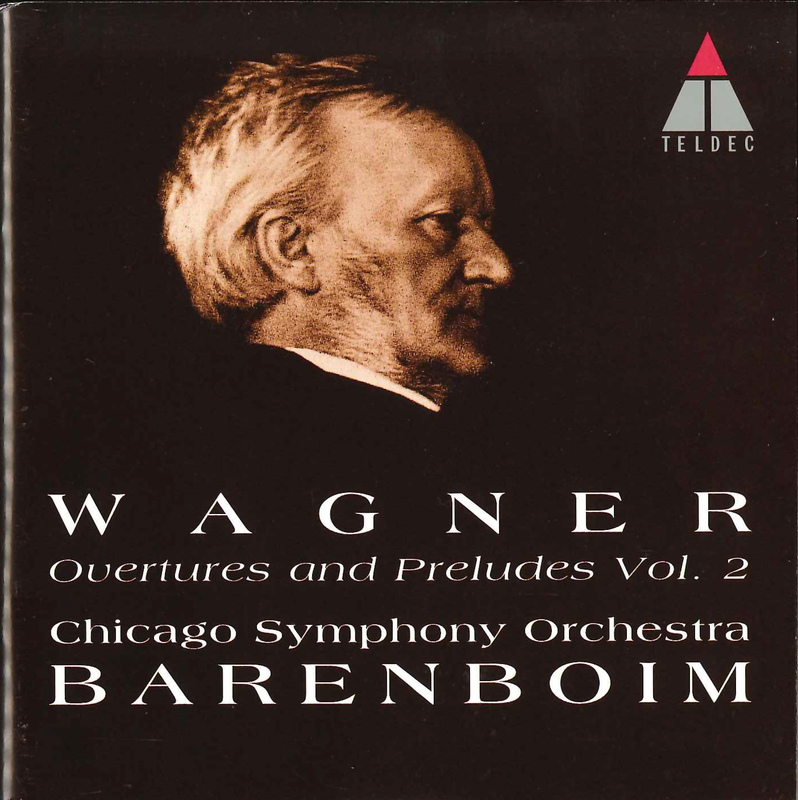 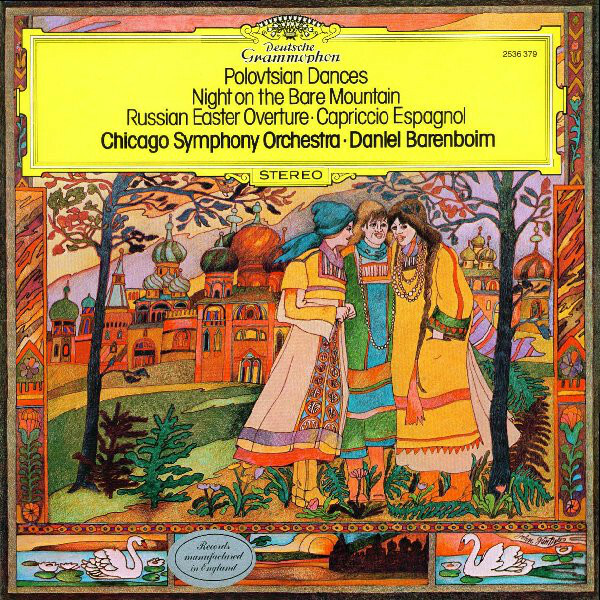 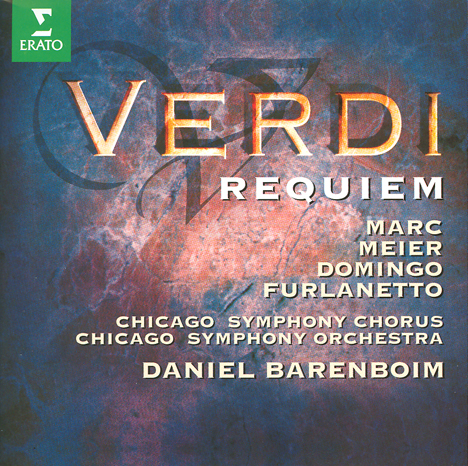 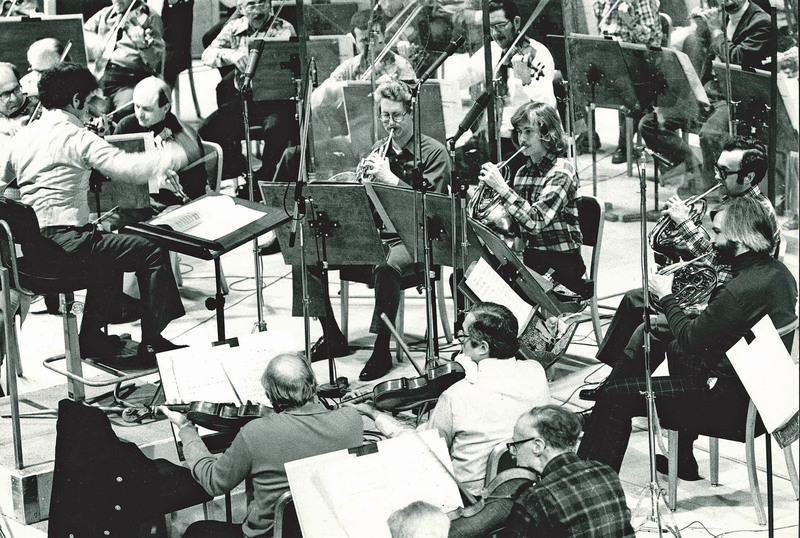 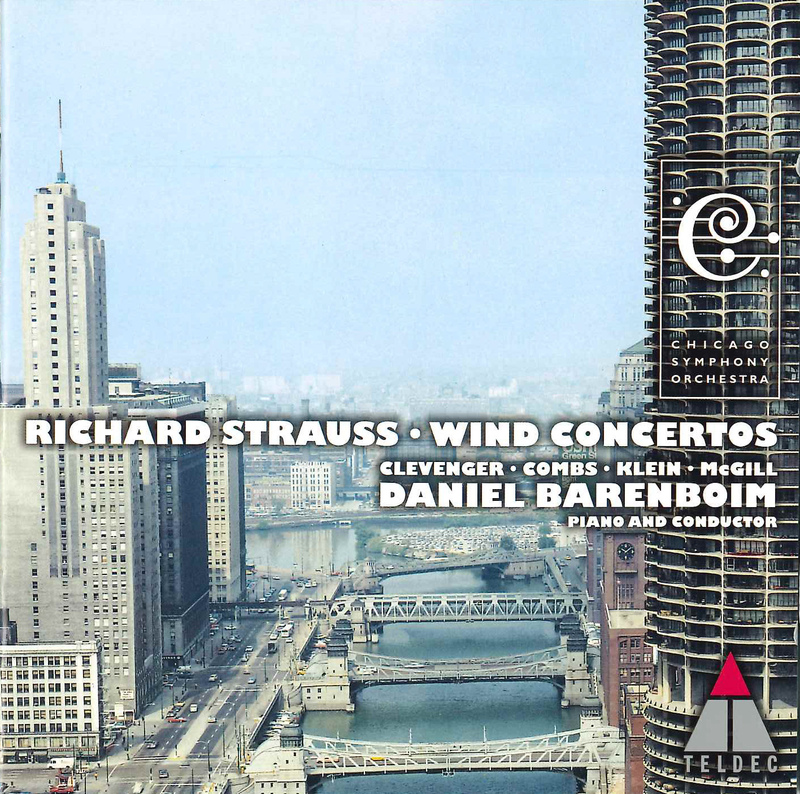 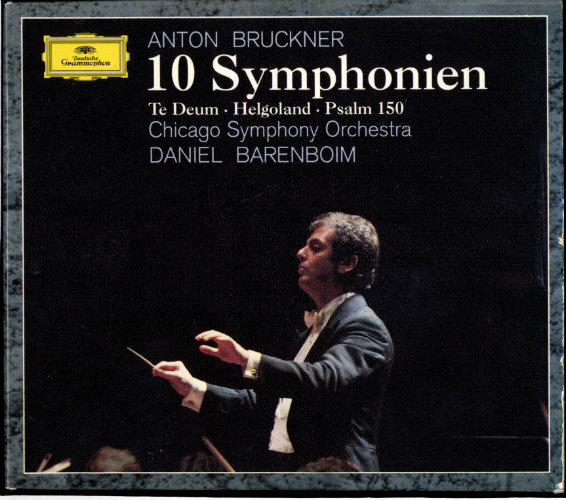 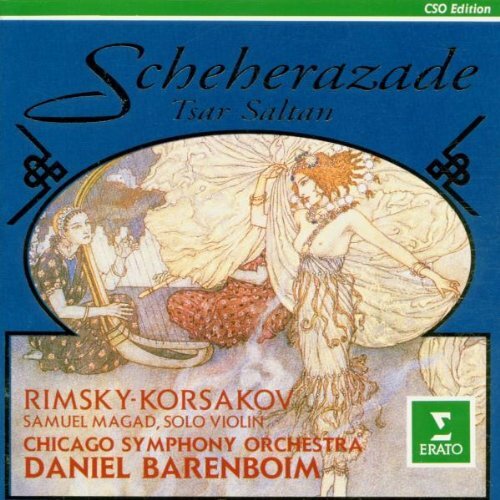 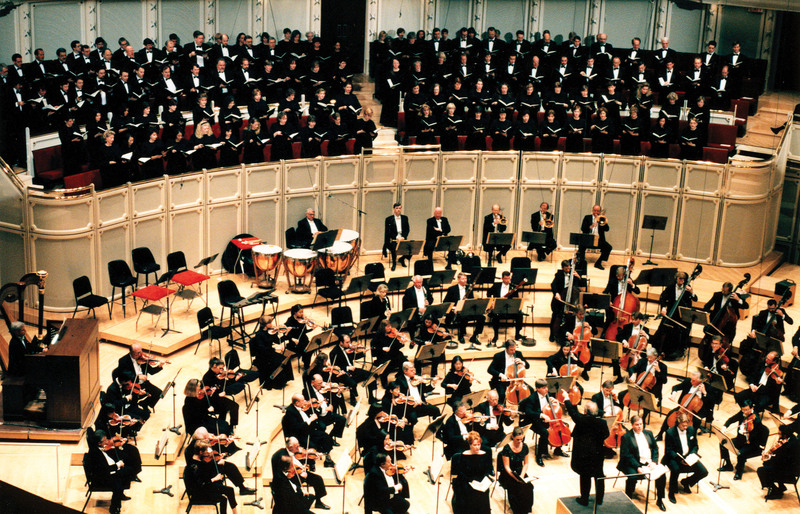 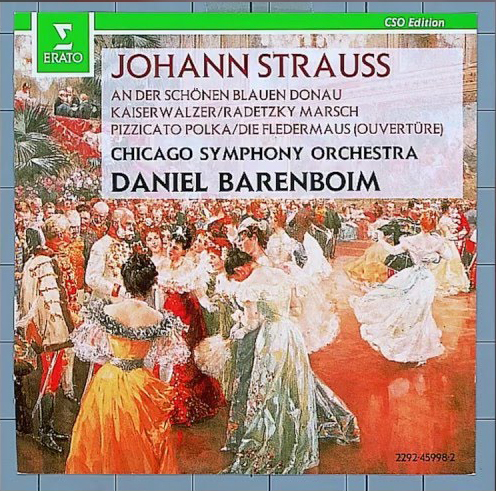 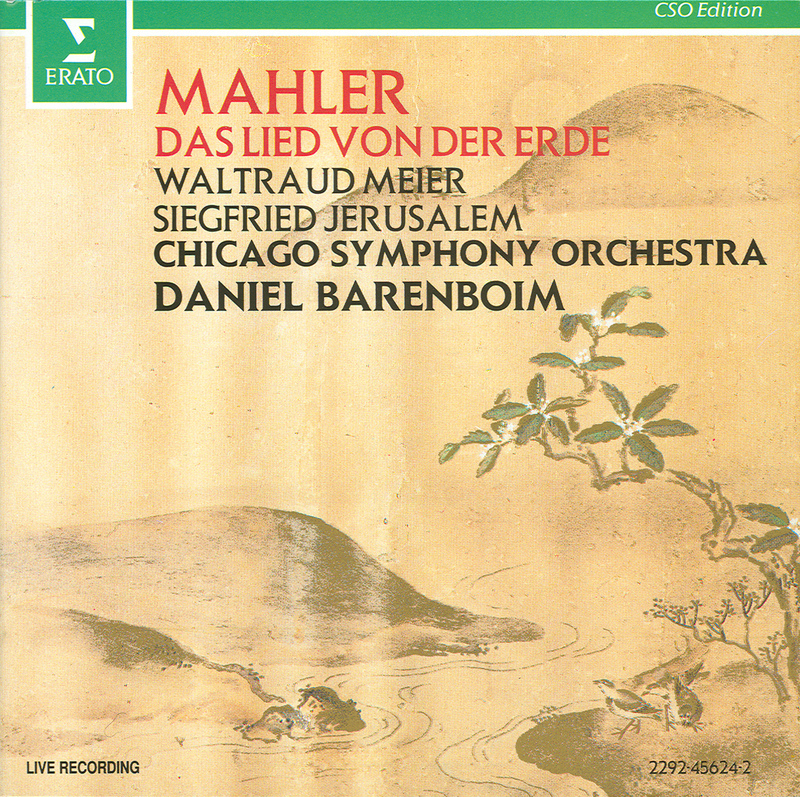 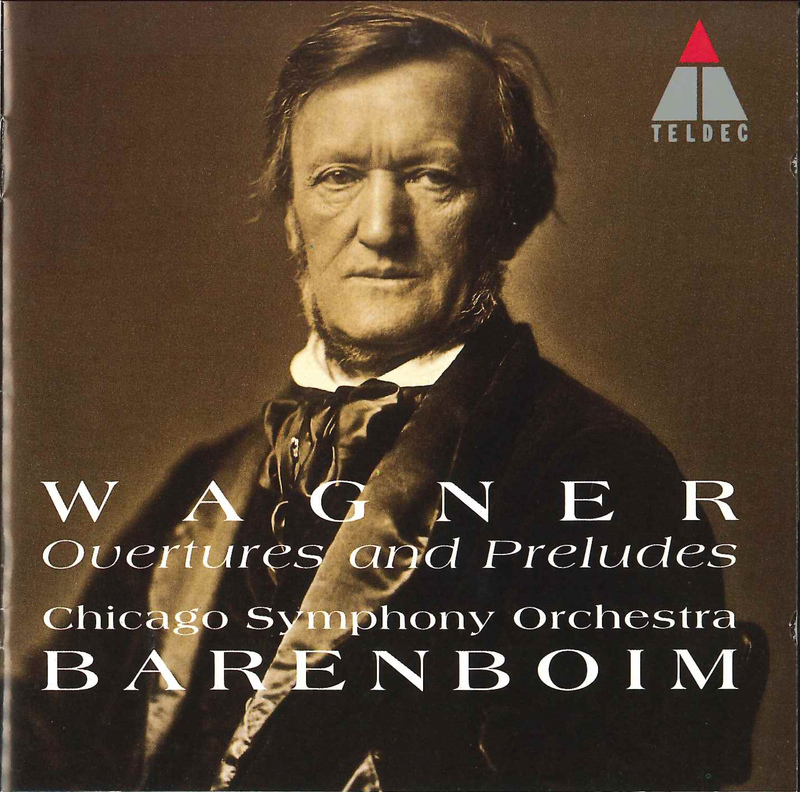 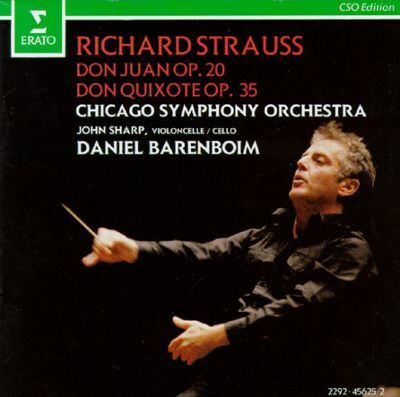 On its From the Archives series, the Chicago Symphony Orchestra also released several works originally recorded for radio broadcast between 1955 and 1977. 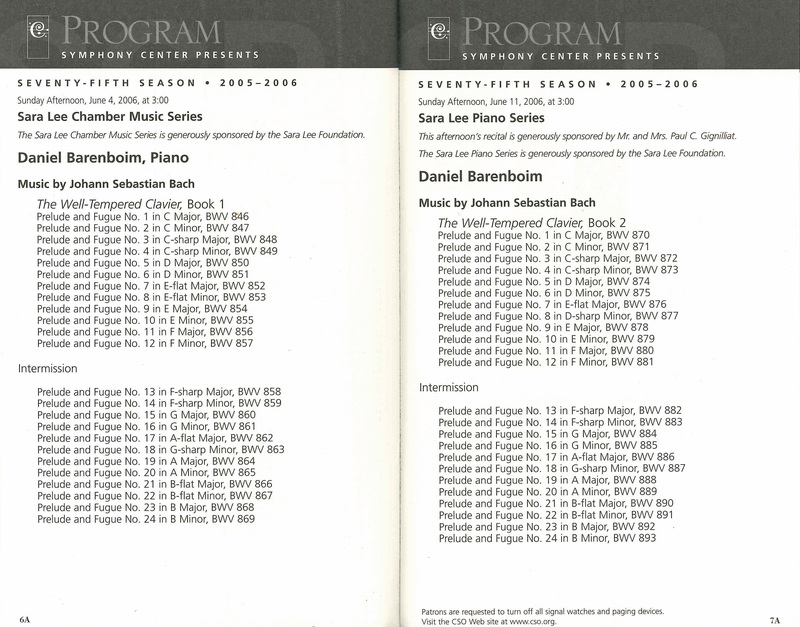 A complete list of those recordings is below. 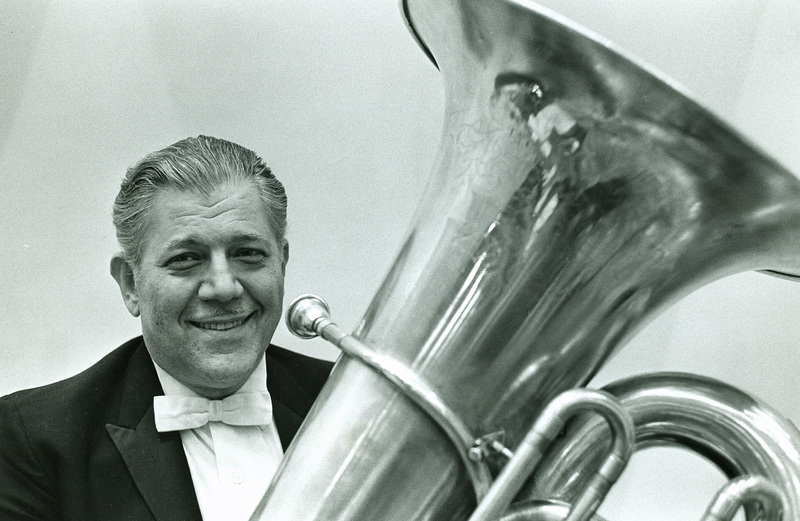 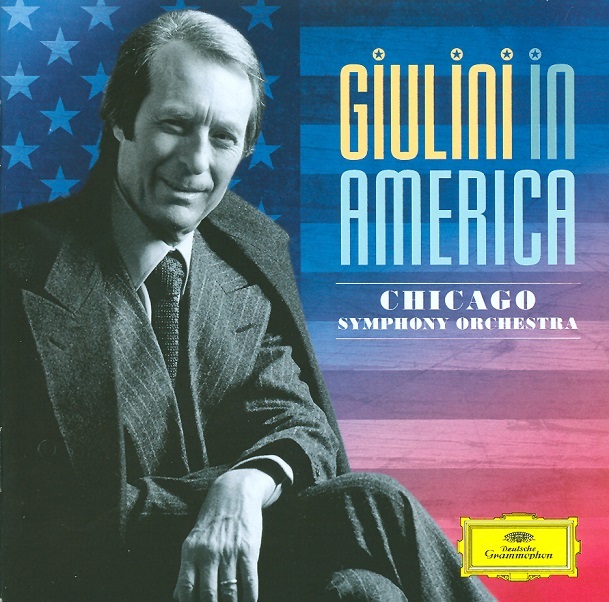 Recently, many of the items in Giulini’s CSO discography have been re-released. 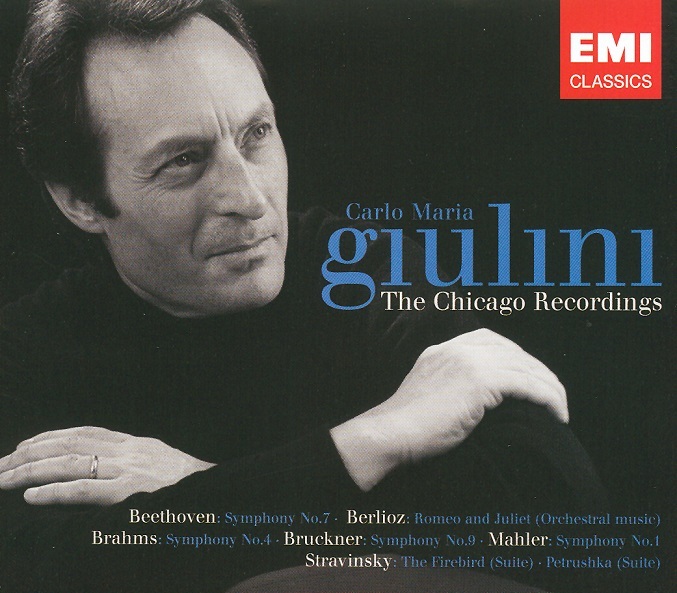 EMI compiled most of the original Angel recordings in Carlo Maria Giulini: The Chicago Recordings, and Deutsche Grammophon released all of their catalog in Giulini in America.